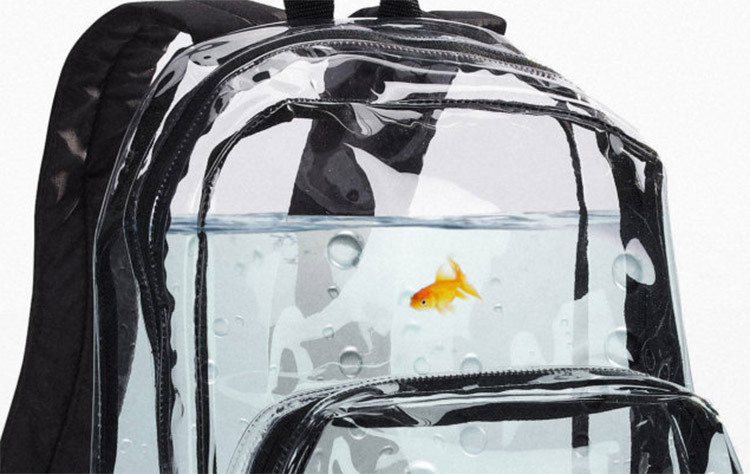 In this week's "So Apparently This Is A Thing", is a transparent backpack that allows you to carry around a bunch of water on your back with your pet fish inside. 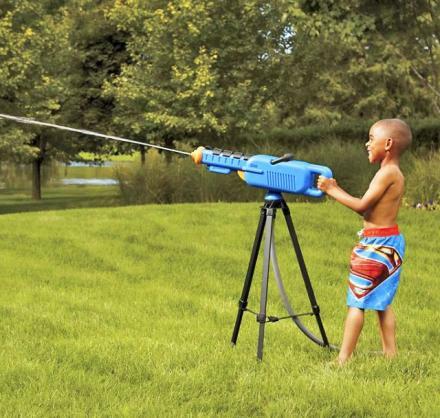 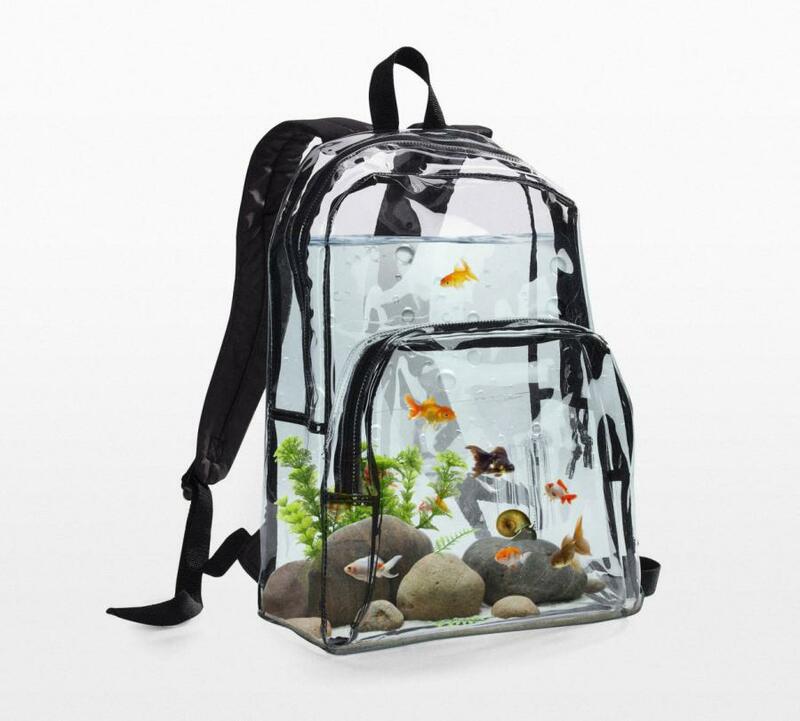 Maybe your child would like to bring his fish in for show-and-tell, or maybe you just get anxiety when you're away from your fish for too long, whatever your reason is for needing your fish in your backpack is your own business. 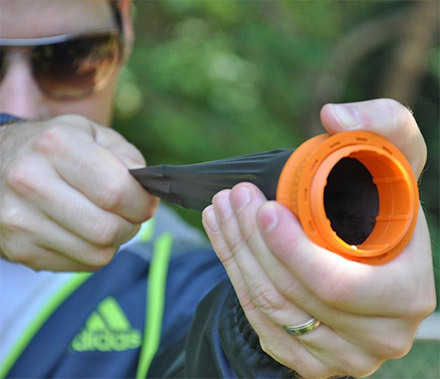 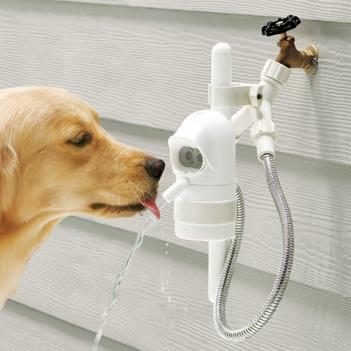 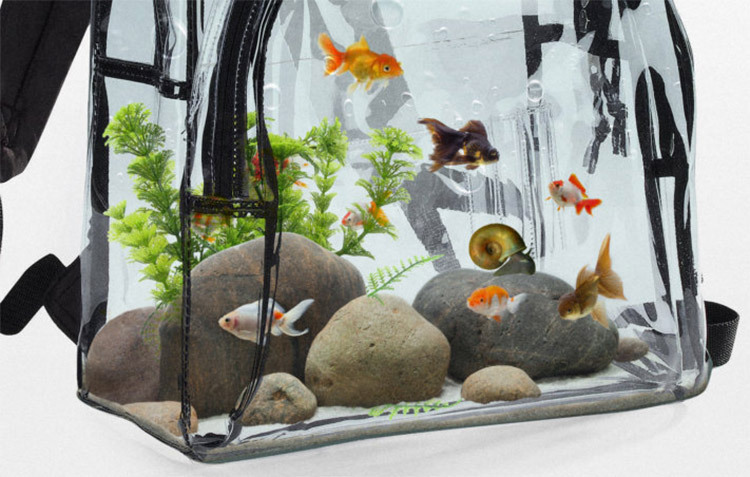 Apparently the backpack aquarium is self cleaning, and whether that means there is an actual device in the backpack that cleans it, or by self-cleaning it means that you'll just be sloshing the water around, is still a mystery as the product page really gives you no information about the product. 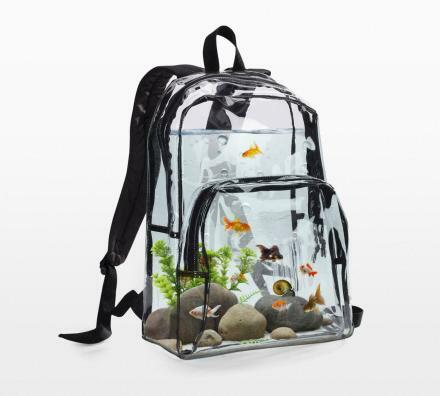 The aquarium backpack has waterproof zippers, has both large and small pockets for whatever reason that might be, and comes with 1 backpack, goldfish, rocks, snails, and plants.